On last Saturday’s walk around La Jolla Cove I was looking for interesting photos, but didn’t feel inspired by anything that I hadn’t photographed before. Finally, I saw these patterns that look like a landscape from another planet, but actually are in the sandstone cliffs right by the beach. I hadn’t noticed these shapes before, and I imagine they might be transient, perhaps formed by just the right tide conditions and the right amount of salt water left to evaporate. I had to wait a bit for the sun to emerge from behind thin clouds to give better contrast, and in the meantime tried to visualize a good composition. In the end, I still cropped the photo somewhat to improve the composition and enhanced the contrast and saturation a bit to make the photo more interesting, but it had to start to keeping one’s eyes open for something unusual. 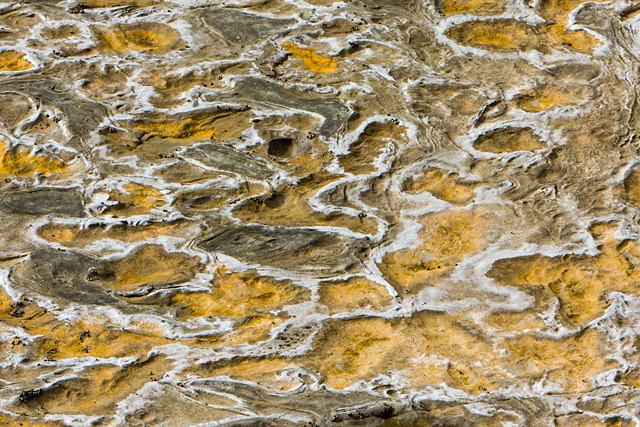 This entry was posted in Picture of the Week and tagged abstract, beach, canon eos 60d, nature, outdoors. Bookmark the permalink.